Applications are now being accepted for a pair of $1,000 scholarships through the Greyhound Hall Of Fame, with the deadline for submittal set at Mar. 15. 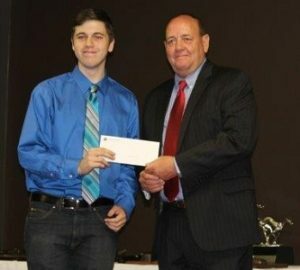 The Greyhound Hall of Fame sponsors two $1,000 scholarships. The Greyhound Hall of Fame will award the Jason Dean Hunt $1,000 scholarship each spring. 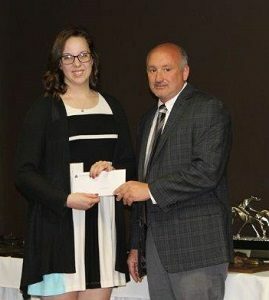 The purpose of the scholarships is to encourage post high school education to persons connected with the sport of Greyhound racing. Mr. Keelan was a track operator, Hall of Fame Inductee and ardent supporter of the Hall of Fame. The scholarship winners will be announced at the National Greyhound Association Spring Meet. Each scholarship recipient will receive $500 for the fall semester and $500 for the spring semester. The students must be in good standing and provide a transcript of the fall semester to receive the second payment. What is your connection with the Greyhound industry? Please list parents, relatives, grandparents, activities, etc. Use a separate sheet of paper if necessary. What are your post-high school goals? Please list the school you plan to attend and your field of study. Use a separate sheet of paper if necessary. Make copies of the Recommendation form. Have three people who can testify to your character, fill it out and return it by mail to the Greyhound Hall of Fame. Finally, enclose one photograph of yourself, a transcript of your last semester and this application. Return to: Greyhound Hall Of Fame, 407 S. Buckeye, Abilene, KS 67410. Deadline is March 1.